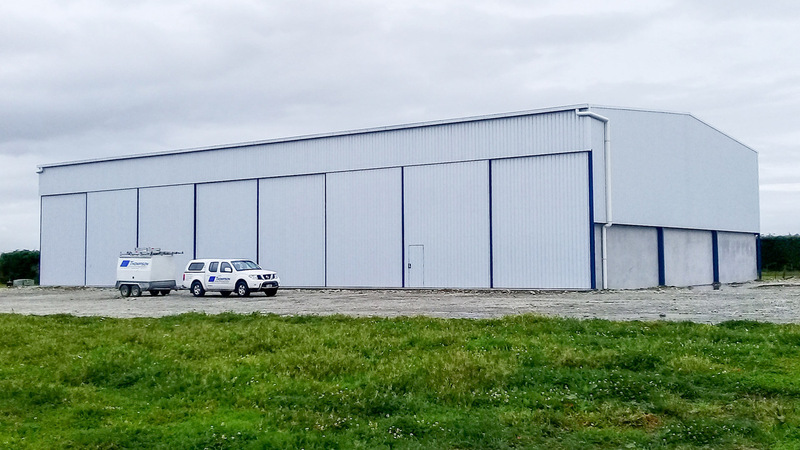 Manakura Farms Ltd were looking for a multi storage facility that would cover all basis for their operation. Completed in April 2018, their 960m2 building, has definitely meet this requirement. When viewing the four 10m bay interior, their multi-use becomes apparent. The area is divided into three main work areas with the first two bays being allocated to the storage of farm implements and machinery. Within this area the client has chosen a mixture of floor finishes utilising a combination of shingle and concrete. A third bay has been allocated entirely to bulk storage utilising precast panels to maximise the storage area. In the final end bay, a grain drying facility is located which connects to an external fan room blowing air into this bay via a 16m long tunnel which runs down the centre of the area. 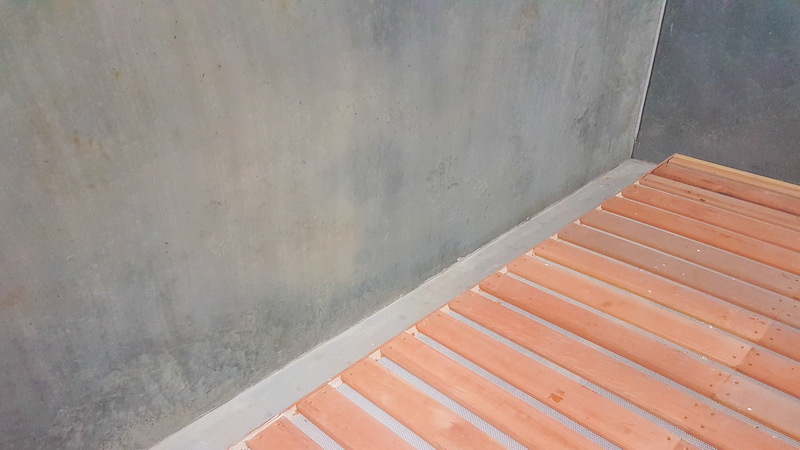 The tunnel area releases sufficient air out of each side into the slatted floor providing an excellent airflow. Using precast panels throughout this project provides for an excellent multi-use facility giving plenty of strength and storage capacity throughout the design. 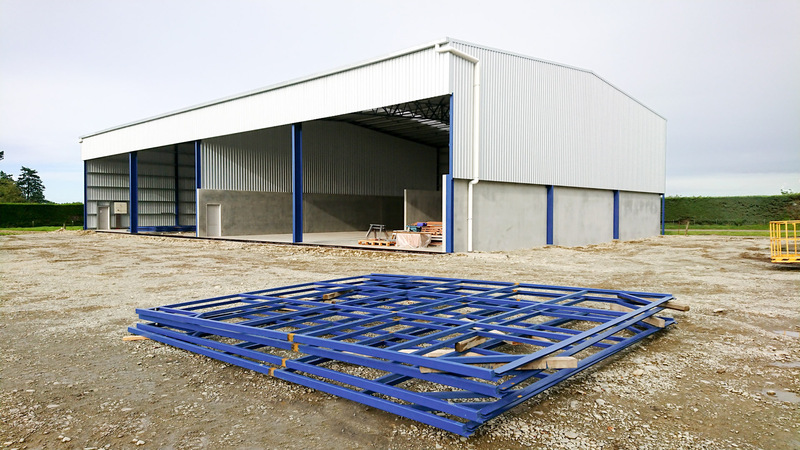 The installation of large wide opening sliding doors along the front of the building provide easy access into each bay for the variety of farm machinery. 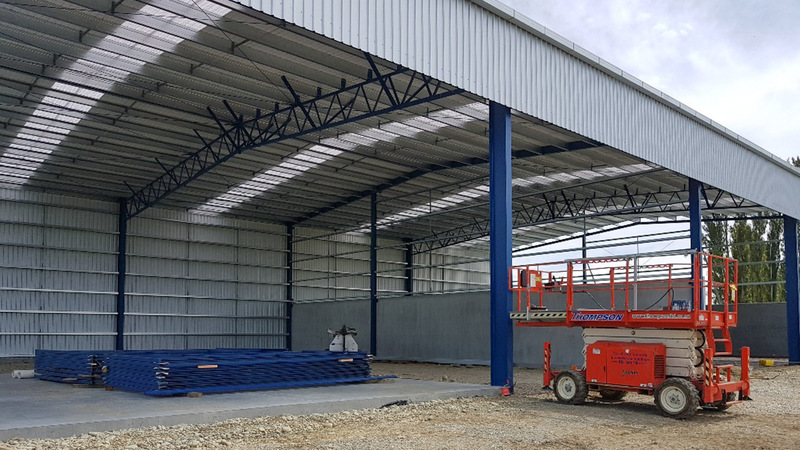 "After looking around, and soon realising that Thompsons offered great value for money for the size building we were looking at, they were chosen to design and build our bulk store/machinery shed. We found that the whole Thompson team, from the designers through to the builders on site were great to deal with, and their attention to detail is of such high standard that we now have a building that exceeds all expectations".